We offer a wide range of Circular Thread Rolls. These dies are made by thread grinding process. 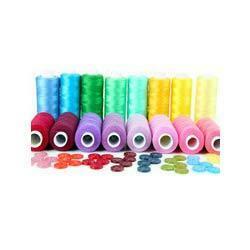 Circular Thread Rolls are generally made from selected cold work. Circular Thread Rolls are usually made in two piece sets and also in three piece sets for rolling of special components as per requirement. Our clients can avail from us a wide range of Straightening Rolls. These are fabricated using finest quality raw material. Also these can be availed at market leading prices. 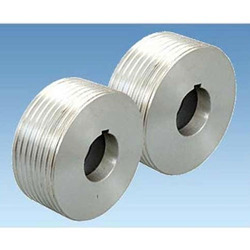 Our range comprises Fette Thread Roll, Infeed Rolls, Annular through Feed Rolls, These are made with best grade quality material with the help of professional technicians as per the specified industry standards. These are made with best grade quality material with the help of professional technicians. COTTON THREAD ROLLS OF 50 MTRS. SIZES AND COLOR AVAILABLE AS PER BUYER REQUIREMENT. We manufacture threaded parts on our praga thread rolling machines. We are the prominent company that is engaged in manufacturing high quality range of Thread Roller. Pattern Dimensions: ANY PITCH, MAX DIA. 250 mm, MAX WIDTH 300 mm.